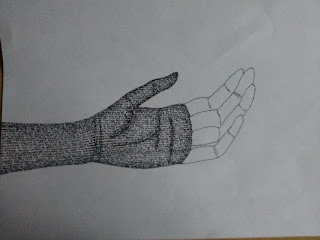 ...It is a very long process but doesn't take too much skill. 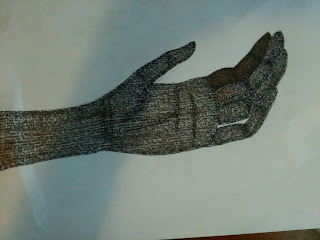 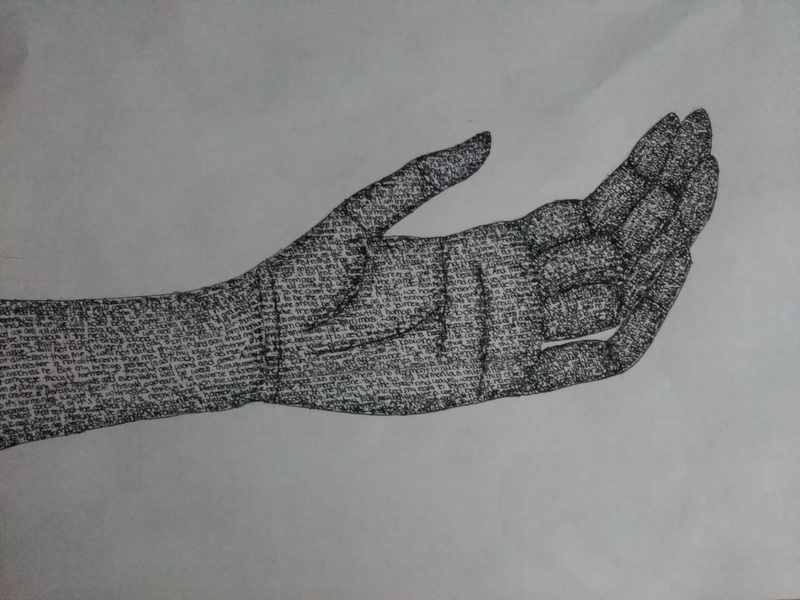 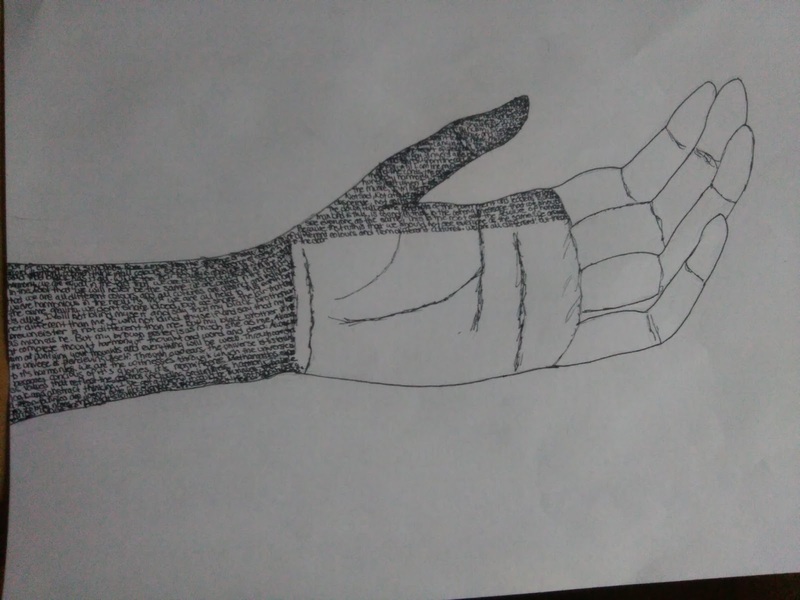 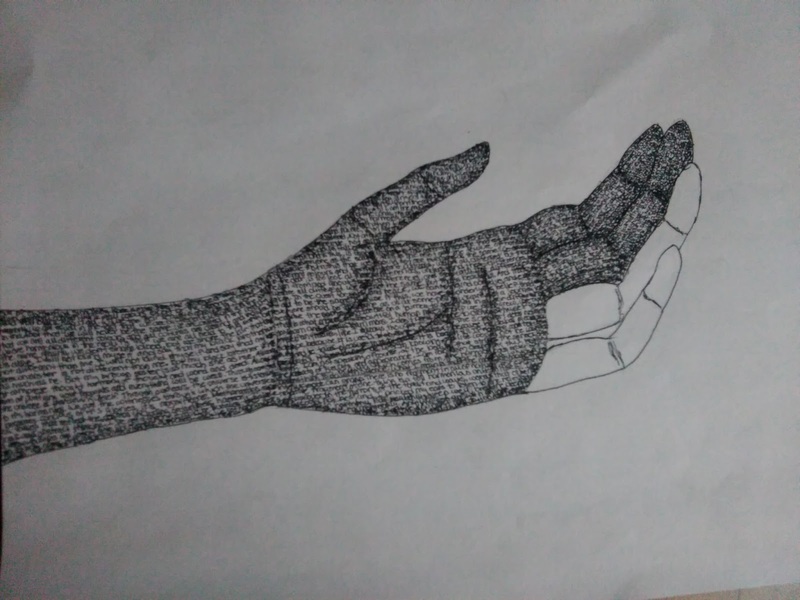 First, draw an outline of the hand, then fill it in with words. Then go and draw thin lines if the words didn't shade properly. 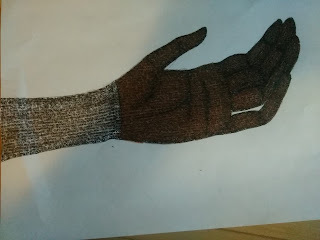 Finally color in the hand any color. Then create a contrasting background. 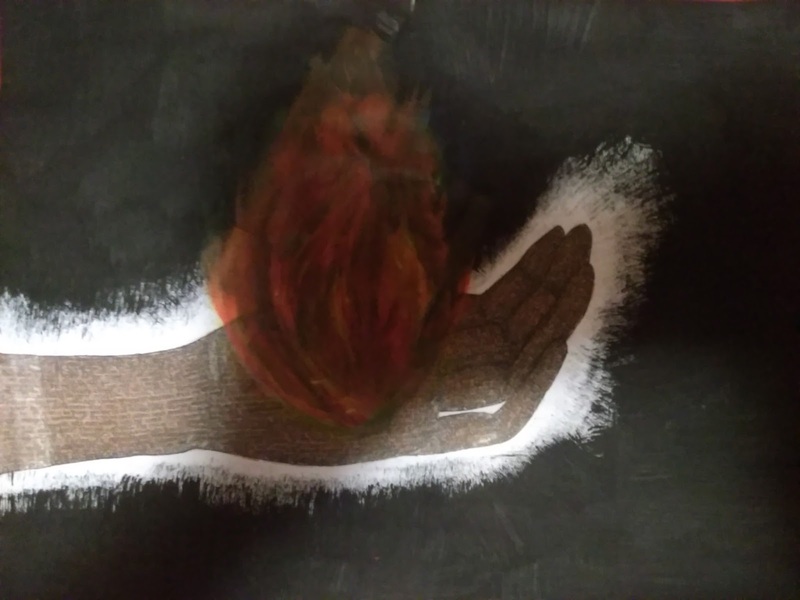 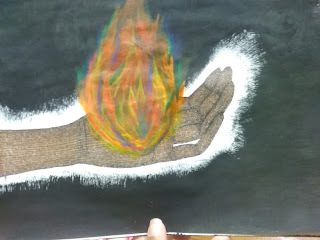 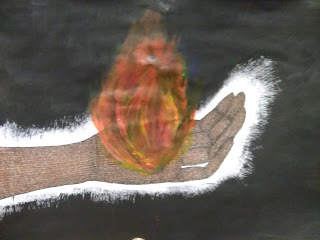 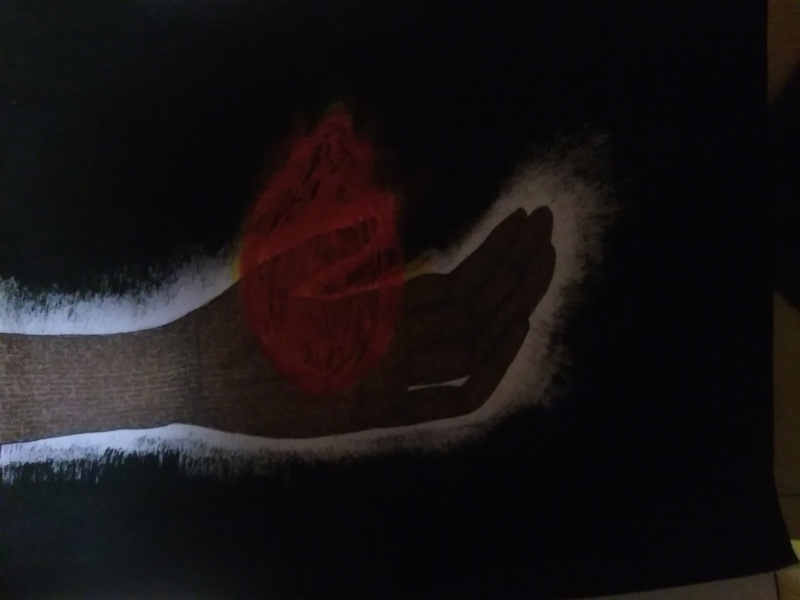 Finally paint in the fire with a variety of colors (even if you think they don't work well together, you can be surprised) and enhance with pencil crayon.